Assembled by each couple, these baskets full of their favorite things are truly one-of-a-kind. 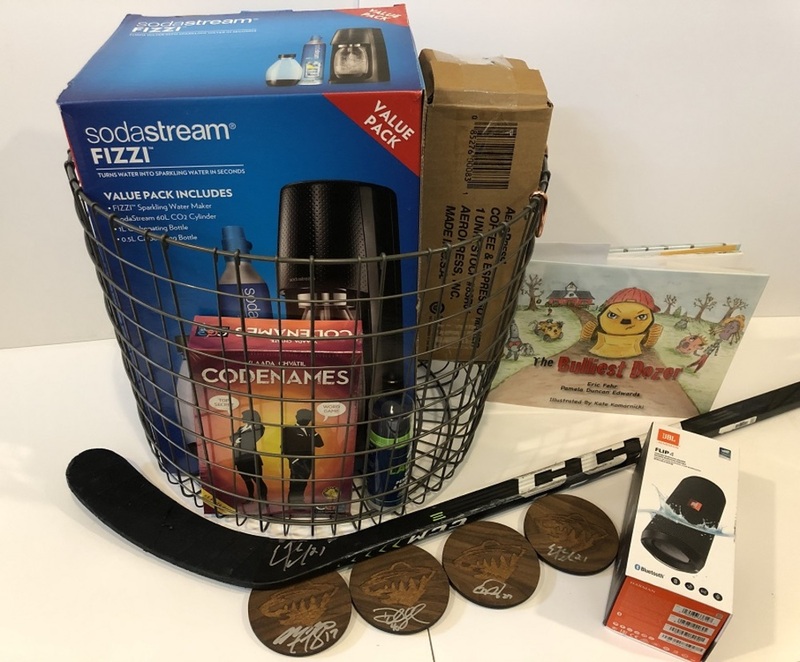 Eric & Rachel Fehr's basket includes: an autographed game-used stick, an Wild coaster set autographed by Foligo, Dumba, Fehr & Dubnyk, a Soda Stream Fizzi, an Aero Press Coffe & Espresso Maker, Lactigo Sports Performance and Recovery Gel, two (2) lower level tickest to the 3/11 Wild vs. SJ Sharks game, a Flip 4 Portable Bluetooth Speaker, Codenames board game, an autographed copy of "The Bulliest Dozer" children's book written by Fehr & Pamela Duncan Edwards, and a drawing made by Fehr's 5 year-old daughter Ellie. Proceeds benefit Women's Advocates, a local domestic abuse shelter.